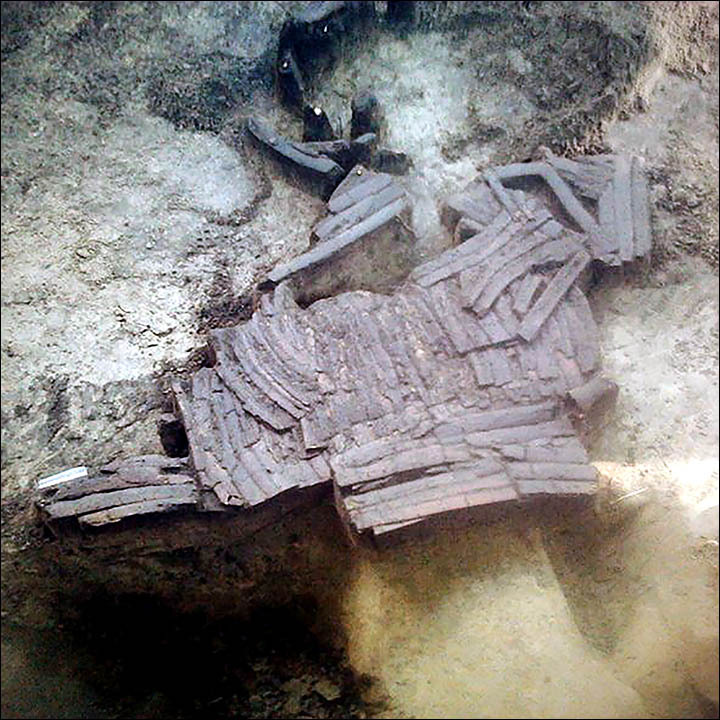 Nearby archeological finds are from the Krotov culture, lived in forest steppe area of Western Siberia, but this bone armour more closely resembles that of the Samus-Seyminskaya culture, which originated in the area of the Altai Mountains, some 1,000 km to the south east, and migrated to the Omsk area. The armour could have been a gift, or an exchange, or was perhaps the spoils of war. Currently the experts say they do not know which creature's bones were used in making the armour. Found at a depth of 1.5 metres at a site of a sanatorium where there are now plans to build a five star hotel, the armour is now undergoing cleaning and restoration. 'We ourselves can not wait to see it, but at the moment it undergoing restoration, which is a is long, painstaking process. As a result we hope to reconstruct an exact copy', Boris Konikov said. 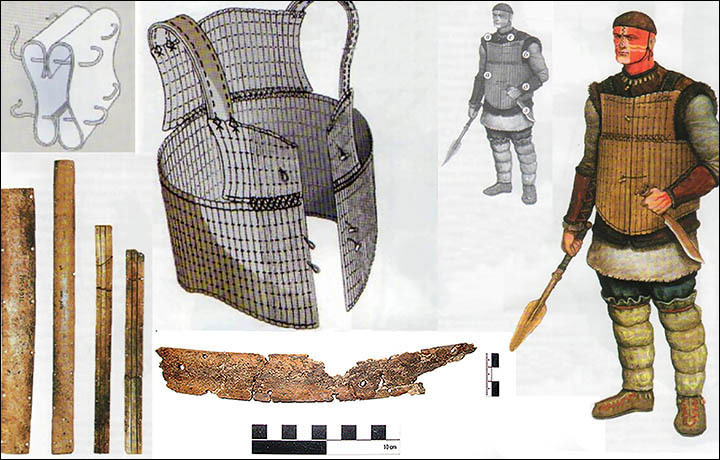 Scientist Yury Gerasimov, a research fellow of the Omsk branch of the Institute of Archaeology and Ethnography, said: 'While there is no indication that the place of discovery of the armour was a place of worship, it is very likely. Armour had great material value. There was no sense to dig it in the ground or hide it for a long time - because the fixings and the bones would be ruined. The site, beside the Irtysh River, is now owned by Popov Omsk Radio Factory which has supported the archeological research. Konikov, who worked on the site as a researcher for many years and is now a representative of the plant, supervising the excavations, said: 'Our goal is to save the site, to research it and to promote it.